These shafts are the final production batch of the iconic Matrix Black Tie shafts, it is the 4th generation of Matrix Black Tie, also internally called M4 platform. 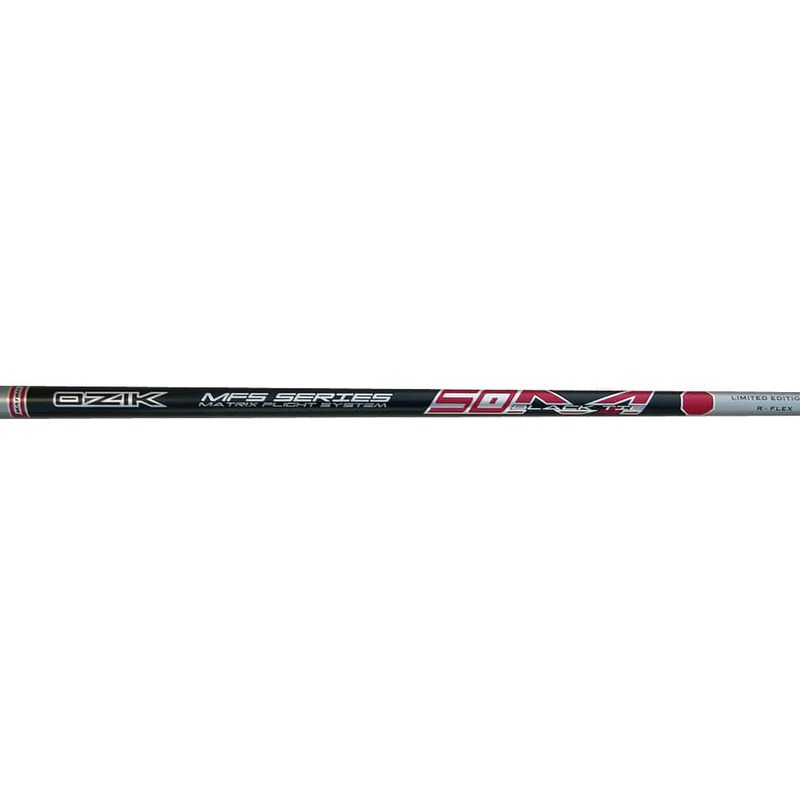 These Limited Edition shafts are painted in satin black finish, "Limited Edition" and Shaft Flex designation to the right side of the main shaft logo. Please note that the Red Tie Limited Edition and White Tie Limited Edition are also black finished. Each year the availability of new materials and the evolution of research allow Matrix to further refine our products. The Matrix Black Tie shafts employ the most advanced flag design and layup method of any shaft in its class and widens performance characteristics, ensuring greater coverage of player types than were previously achievable. The Black Tie offers a Low/Mid Launch and Low Spin, Red Tie offers a Mid Launch and Mid Spin and White Tie offers a High Launch and Mid Spin. These shafts feature X-Axis Control, Matrix DE Curve, GEF and AVF design technologies. The shafts are made purely of high modulus carbon graphite. The X-Axis Control design brings maximum performance in high MOI clubheads and stable feel for all players. Tip Trimming: Driver 0"; #3W 1"; #5W 2"; #7W 2"; #9W 2"